2 Bedroom Flat For Sale in for Guide Price £325,000. A development of 8 apartments comprising two bedrooms, 1 bedroom and studio apartments. Situated in this gated courtyard a rare opportunity to purchase a newly converted two bedroom first floor flat. The flat forms part of Phase 2 of this development. Benefits from new double glazing, gas central heating the flat has a unique vaulted ceiling giving a very open and spacious feel. The apartment also benefits from a parking space. 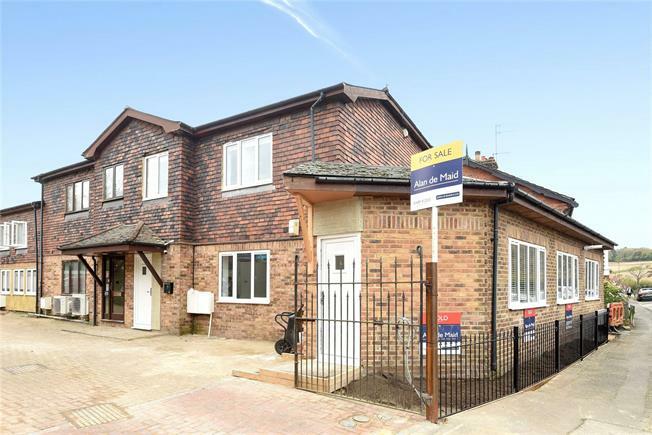 Positioned within access of both Knockholt and Chelsfield station and junction 4 of the M25. The internal images are of completed apartments in Phase 1.